York in the UK is a wonderful place to visit but if you want to explore further away from the city then I have the answer! There are some wonderful day trips from York that you can include in your visit. All these locations are within about an hour’s drive from York city. They are perfect to include in your itinerary on your York day trip. If you prefer then you can take various tours to these locations, but I will tell you the best places so you can plan your own day trip. a perfect day out to include in your itinerary on your York trip. York is very close to two beautiful National Parks – the Yorkshire Dales and the North York Moors. But my first stop was in one of the UK’s areas of outstanding beauty – The Howardian Hills. This includes details about the York Pass which I also mention in the above article. Depending on how many places you want to visit on your day trip from York it could be worth buying to save money. There are 1, 2 or 3-day options. Read here whether the York Pass is worth buying for your trip and whether it will save you money or not? 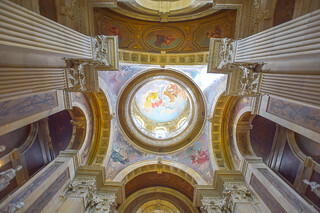 The closest location to York is Castle Howard, about a 30-minute drive from York city. Located in the Centre of the Howardian Hills, one of the UK’s Areas of Natural Beauty (AONB). Although called a castle it is actually a stunning stately home and its grounds, which are huge. It’s a couple of miles driving up through impressive castle gates which make you feel like you’re a VIP as you arrive! 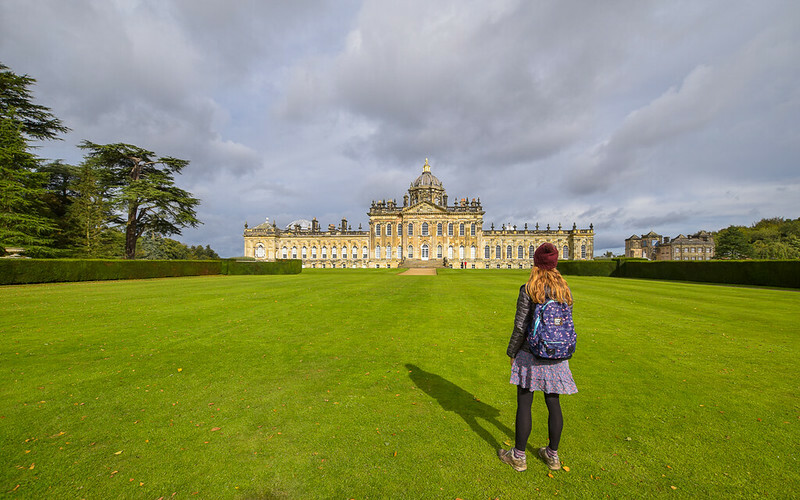 Castle Howard, York is an 18th-century house and has even been used as a filming location, the most famous is Brideshead Revisited and there’s even a room in the house dedicated to the film, showing all the scenes from the movie. Castle Howard has beautiful gardens, lakes and grounds which you can spend several hours walking around exploring. But inside the house is just as beautiful and worth a visit if you have time on your day trip. You can buy tickets before you go for the House & Gardens here. 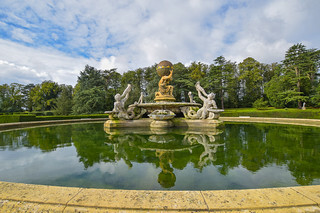 My highlight was the Atlas Fountain (pictured above), although I didn’t quite see it in all its glory as the water is only turned on for a couple of hours each day to preserve water, which is fantastic to here since the UK has not had much rain this summer. The North York Moors is located northeast of England. The area is part moorland but also a large section runs along the coast near Scarborough up past Whitby. I have spent time exploring this area of the UK on previous visits but it’s always a great place to return to. Since it’s so close then it makes the perfect day trip from York, mixing the historic city with natural countryside on your UK break. A trip to Helmsley isn’t complete without a visit to Helmsley Castle. The Castle is a small ruin, so don’t expect a fully intact castle but it’s still beautiful to explore. It’s about a 50-minute drive from York, 24 miles. National Trust Member? 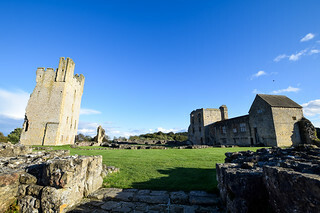 – Helmsley Castle is also part of the National Trust so it’s free entry if you have National Trust membership. Inside there’s also a small museum you can explore. Allow about an hour to visit and explore the castle ground, including the mote and museum. An audio guide is also available. There’s a small shop at Helmsley Castle reception. Around the corner, there’s also Helmsley Walled Garden you can explore. Head there later in the day to see the sun shining on the castle remains (but before closing time at 5.30 pm). Check out the opening times and more information here. Times and days vary due to the time of year, during the peak season between 30 March to 30 September the castle is open daily between 10 am to 6 pm but days and times vary throughout the low season. Where to park in Helmsley? There is paid car parking available next to the reception for Helmsley Castle. Cash or card payments accepted. Also nearby is Helmsley Walled Garden, which dates back to 1759. Since 1994, the garden has been under restoration to return the garden back to its Victorian heritage. I didn’t visit on my day trip from York but if I had more time I more have stopped to visit. 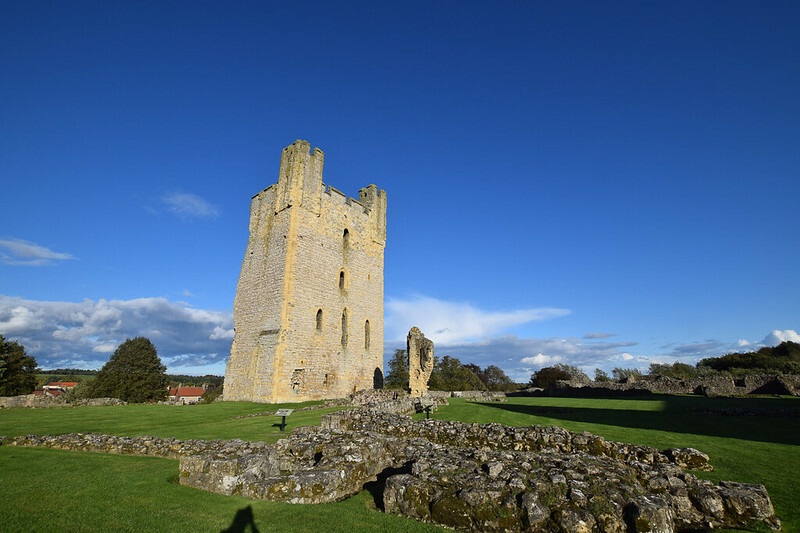 The Abbey is very close to Helmsley Castle, about a 3-mile drive so it’s great to visit the two on your day trip from York! 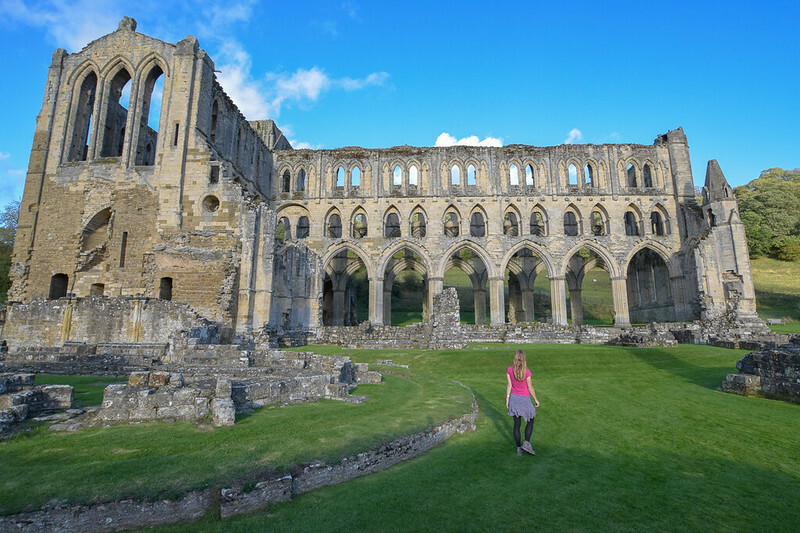 Rievaulx Abbey is a mindblowing place to visit, I had no idea how stunning it would be when I arrived. There are large parts of the abbey still standing and as the sunlight catches the detail you will be blown away by its beauty. There’s also a small shop and cafe at the Abbey. Check out the opening times and more information here. Times and days vary due to the time of year, during the peak season between 30 March to 30 September the castle is open daily between 10 am to 6 pm but days and times vary throughout the low season. 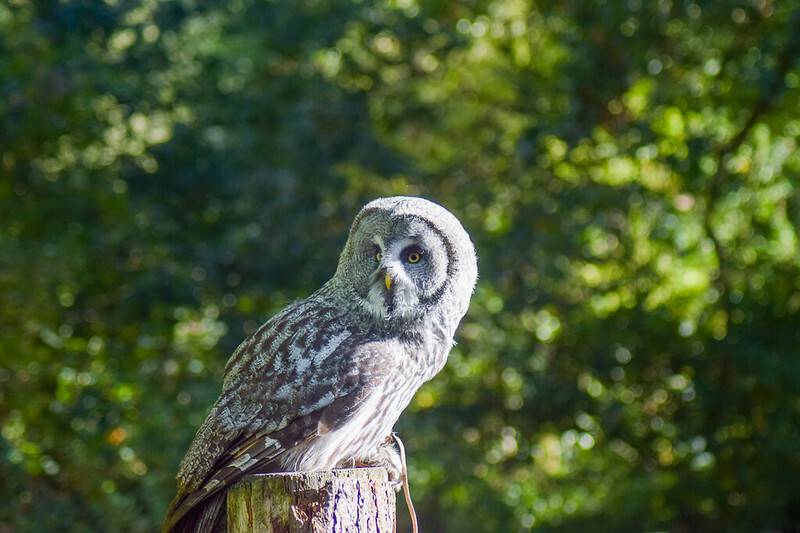 Located close to Helmsley Castle this centre is home to many different birds of prey. The aim of the centre is to educate visitors about these beautiful birds and protect those that are now endangered. The centre is open from 30 January to 24 December, between 10 am to 5.30 pm. There is also a cafe on site so you can stop for lunch on your trip. The highlight for me was seeing the birds of prey flying in the demonstrations which are held throughout the day. Check the times here so you can time your visit to see them. 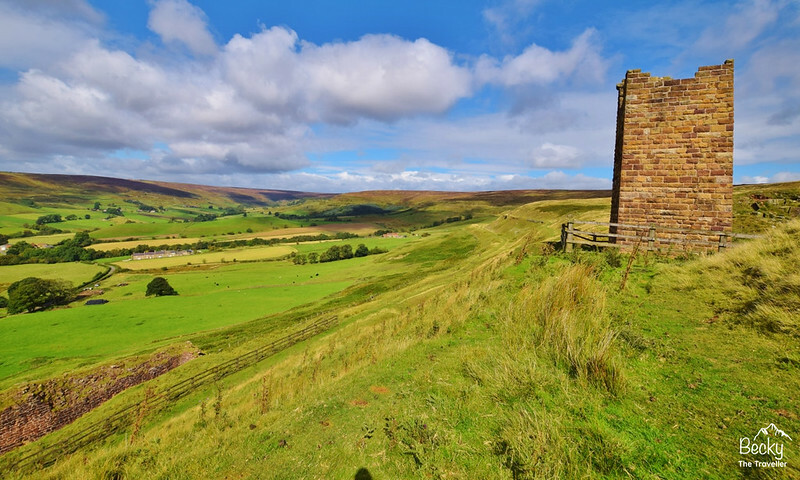 Before you reach the cute village of Rosedale there’s a wonderful walk you can go on, taking you alongside the Rosedale Chimney Bank. 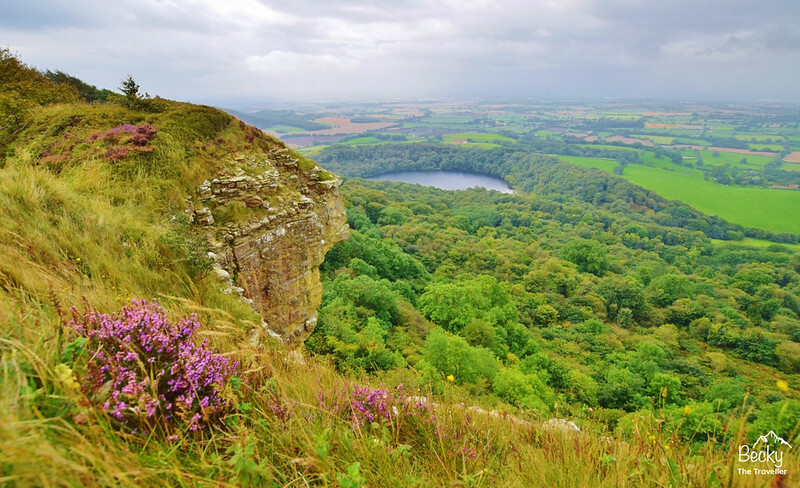 This walk also gives you gorgeous views of the North York Moors National Park. There are various paths you can walk along. You can make this a short stop before reaching Rosedale or if you prefer a longer hike on your day trip from York, UK then I would recommend purchasing a copy of the Ordnance Survey map for the area to plan your route. 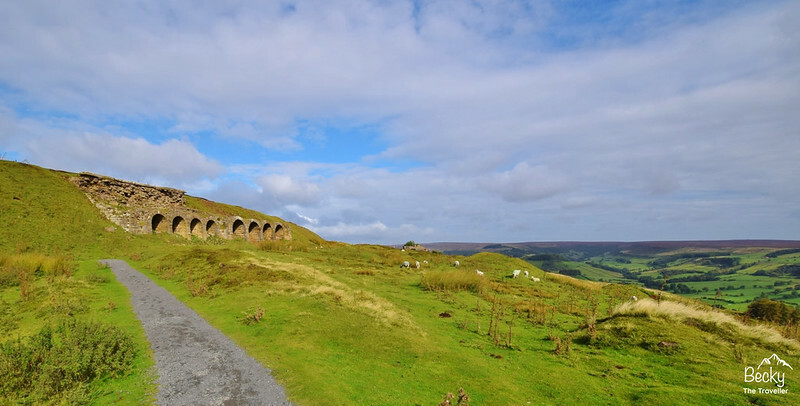 If you are looking for a longer hike then you can go on a circular walk taking in the historic Rosedale Ironworks. Follow the old railway line, which takes you past the old kilns and chimneys which are still intact. The grid reference for the kilns and ironworks is SE 70541 98188. But for a circular walk, it would be best starting from Rosedale where you can leave your car. The full 7.5-mile route here. One of my highlights of exploring the North York Moors was taking a ride of the wonderful North Yorkshire Moors railway. 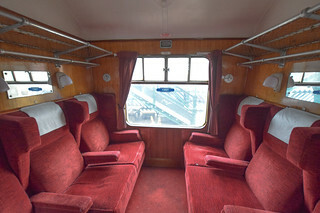 You can ride the wonderful steam trains between Pickering, the closest station to York and Whitby a coastal town. For the Harry Potter lovers be sure to stop off at Goathland, which was the locations for Harry Potter and the Philosopher’s Stone film. The trains leave from Pickering throughout the day to either Grosmont or the coastal town of Whitby. 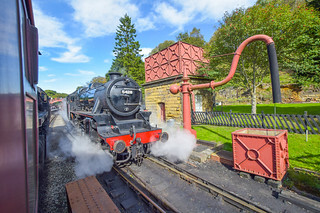 The 18-mile track takes you through the beautiful countryside of North York Moors, riding along on the steam train, listening to the whistle blowing is simply awesome. Some trains do not go all the way to Whitby so be sure to check which train if you want to do a day trip to Whitby. As I was short on time on my day trip from York, I didn’t take the train all the way to Whitby on the coast, however, I had visited it before and it’s a wonderful seaside town to explore. 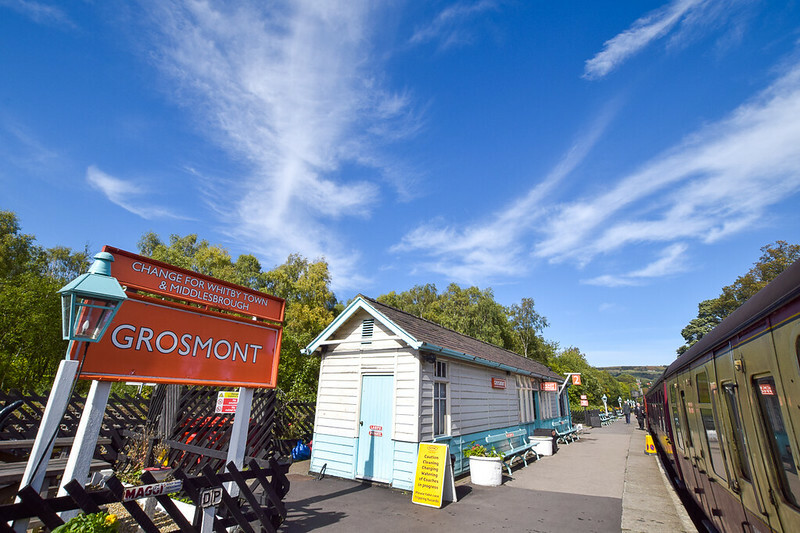 My turnaround point was at Grosmont Station, a beautiful station. 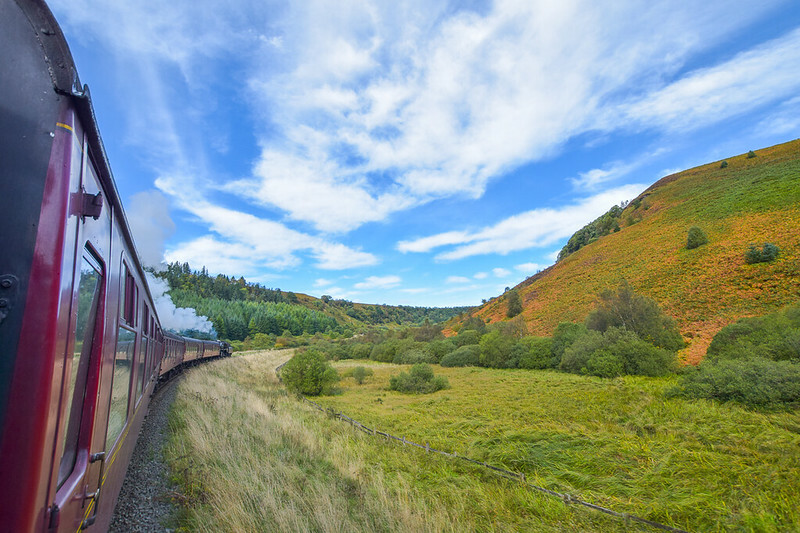 You could easily spend a full day on the North York Moors Railway, stopping off on the way and exploring! The last train from Whitby leaves at 17.10 and arrives in Pickering at 18.45. If you love steam trains then I would recommend visiting the National Train Museum in York city – Free to enter! Sutton Bank walk is very close to the North York Moors Visitor Centre. It’s about a 40-minute drive from York so a perfect day trip. Take a look inside the North York Moors Visitor Centre and the beautiful model which encompasses all 15 of the National Park logos, it took me a while to find them all! There are lots of short walks that you can do around the area, with beautiful views of the National Park. Head further away from the coast and you’ll come across the Yorkshire Dales National Park. Another one of the UK’s beautiful National Parks and many treasures. These are two of my favourite places in the Yorkshire Dales. If you love hiking and the outdoors then these are the perfect places to go for a day trip from York. Malham Cove is one of my favourite walks in the Yorkshire Dales. It was also voted in the top 10 favourites walks by the UK public. 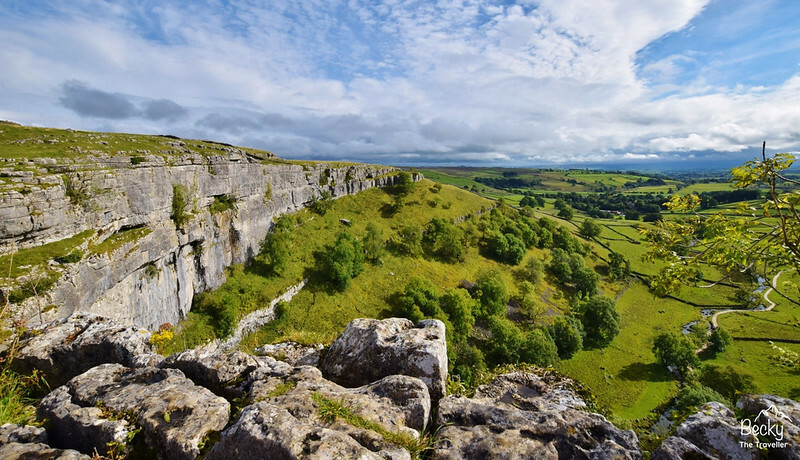 Malham Cove is a huge limestone cliff, you have climb stone steps right to the top and be amazed by some wonderful views of the National Park. It’s further than the North York Moors National Park, about 50 miles but due to windy roads it will take about an hour and a half to reach but it’s spectacular so well worth it. The walk takes you up along the cliff, also made famous by featuring in Harry Potter and the Deathly Hallows Part 1. Then on the way down be sure to take the path to see Gordale Scar, about a 1 km walk off the trail but well worth exploring. 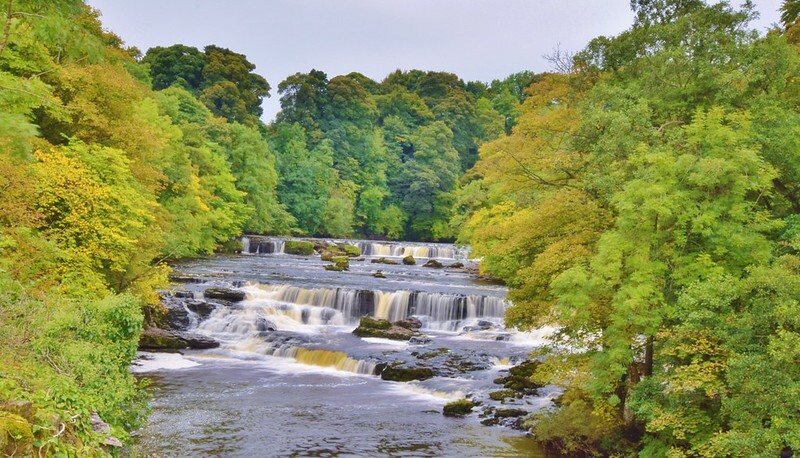 Further north in the Yorkshire Dales there are a beautiful set of waterfalls called Aysgarth Falls, there are actually three sets to these waterfalls, an upper, middle and lower section. This is about 55 miles from York, as it’s a more direct route via the A1 (Motorway) you can get there in about an hour and 15 minutes from York so perfect for a day trip. Of course, the Yorkshire Dales are beautiful so you can easily spend more than a day or two in this National Park. *Visit York provided me with the York Pass for my visit which included the activities on my day trip from york. However, all thoughts and opinions are my own. Glamping Pods, Yurts + Cabins | Where to go Glamping in England?